Certain Southwest Washington businesses and professionals who provide services to clients located in Oregon may be subject to reporting and paying Oregon income tax. Previously, payment for services provided at the professional’s Washington office or over the phone or internet were merely subject to Washington business and occupation (B&O) tax. As of January 1, 2018, however, if the client is located in Oregon, the income will be subject to Oregon income tax, requiring the professional to file an Oregon income tax return -- even if the professional neither maintains an Oregon bank account nor is registered to do business in Oregon. This new rule applies even if the services have nothing to do with Oregon. 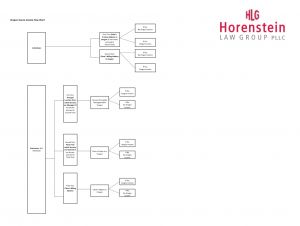 In deciding if the client is located in Oregon, it must first be determined if the client is an individual or a business. 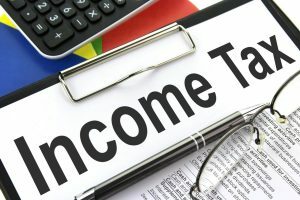 If the client is an individual whose primary residence or billing address is in Oregon, the income received from the client will likely be subject to Oregon income tax. If the client is a business and the contract with the professional is managed in Oregon, income for the services will be taxable by Oregon. If the location of the contract management cannot be determined but the services are ordered from an Oregon location, the income received for the service will be subject to Oregon income tax. Lastly, if the “customer place of order is not reasonably determinable,”and the client’s billing address is in Oregon, the service provider must pay Oregon income tax on receipts from the client. If a client has a multi-state business, the analysis gets more interesting. A word of caution: The Oregon Department of Revenue has access to IRS 1099 filings and thus will easily be able to monitor compliance with income tax reporting and payment by southwest Washington professional service providers. Horenstein Law Group urges you to consider and review this new rule with your accountant and tax preparer.